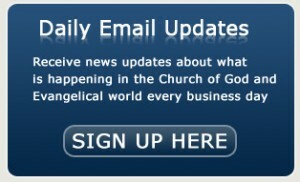 Faith News Network » Have Millions of Christians Been Misled About the Second Coming of Jesus? Out of the ashes of the Holocaust, Israel has been rebirthed, and Jerusalem remains at the center of world attention, again, in accordance with the prophets’ words. But when an editor approached me—along with my friend Craig Keener, one of the world’s foremost New Testament scholars—and asked us to write a book on the subject, we felt that now was the right time. Readers will also be reminded that throughout church history, right until this moment, our fellow believers are suffering atrocities for the gospel—being burned alive, buried alive, beheaded, tortured, imprisoned and exiled. Yet, in Paul’s words, “in all these things we are more than conquerors through Him who loved us” (Rom. 8:37). This is our theme as well.